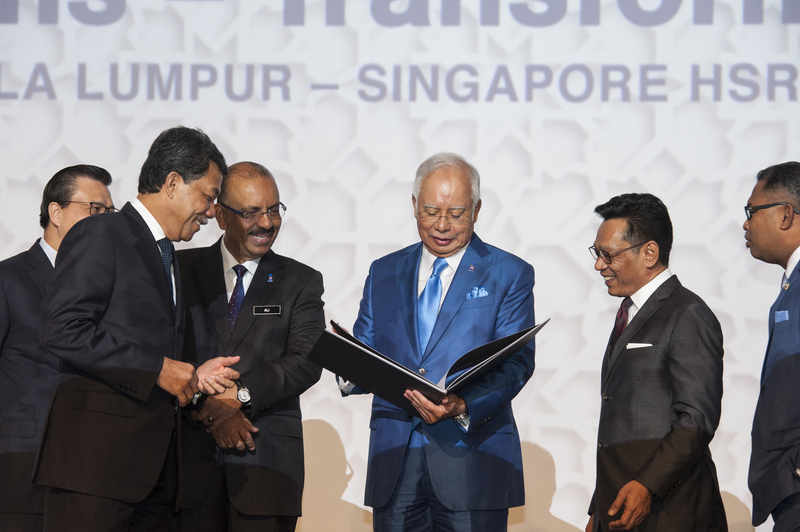 KUALA LUMPUR: Malaysia has taken a step closer towards building the Kuala Lumpur-Singapore High Speed Rail (HSR) after Datuk Seri Najib Tun Razak (pic) unveiled the architectural concept designs for seven stations. "We are all excited to see the lift-off of this project that has been the talk around the world for sometime now," the Prime Minister said at an unveiling ceremony at the Malaysia International Trade Exhibition Centre here on Tuesday. Najib, who said that the project was close to his heart, said the unveiling of the station designs would allow Malaysians to get a better "look and feel" of the HSR. "I have personally been involved in ensuring that every station design retains a strong reflection of Malaysia's identity and heritage whilst remaining modern and futuristic," he added. He said that the HSR project will help drive the nation's National Transformation 2050 (TN50) aspirations, while revolutionising connectivity between two of South-East Asia's major economic forces. The Bandar Malaysia station design is a reinterpretation of the confluence of the Kuala Lumpur and Gombak rivers. The station in Putrajaya embraces Islamic architecture while the one in Seremban draws inspiration from the Sri Menanti palace. The station in Melaka is inspired by the state's history and is designed with an image of a merchant ship in mind. The design of the Muar station is taken from the rehal (book rest) which is used to hold the Quran, while the Batu Pahat station is inspired by the kuda kepang (a traditional dance). The Johor station will be the representation of a handshake. Najib also announced that land acquisition process for the project had started, involving the freezing of development in pre-selected areas along the route. He said that acquisition would be carried out once the areas concerned are finalised. He added a three-month HSR public inspection period at key locations along the route will begin on Nov 1. "This exercise serves as a channel for the public to share their feedback, suggestions or raise any concern regarding the project, and proposed alignment," he added. The KL-SG HSR will cover a 350km route connecting Kuala Lumpur and Singapore with stations in Bandar Malaysia, Bangi-Putrajaya, Seremban, Melaka, Muar, Batu Pahat, Iskandar Puteri and also Jurong East in Singapore. The train will have a top speed of 350kmph and will take about 90mins to travel between Kuala Lumpur and Singapore.